Beginning Monday, April 10 through April 27, Perry Local Schools will be joining the rest of the Stark County Schools and participate in a Food Drive called “Hunger: The Bus Stops Here”. The letter linked below will explain how you can participate in this very important community service program. Perry High School will hold the 2017 Junior & Senior Prom on Saturday, May 6th at the St. George Cultural Center from 8 PM – 11 PM. The theme for the prom is Moroccan Moonlight. Tickets for Perry juniors and seniors are $25 each. Sophomores may attend as a guest only. Tickets will go in sale May 1-5. Questions can be directed to Lea Daut (Lea.Daut@perrylocal.org). Educators Rising is having Jordyn, a CTE PHS Teacher Academy senior, lead a Twitter chat: Join National Student Vice President of Educators Rising Jordyn Kuemerle on Thursday, April 6, at 9 p.m. ET for an Educators Rising Twitter chat about teaching. Use #WeAreEdRising or @EducatorsRising to tune into the chat, share your experiences as a teacher leader, and tell us what you think current educators can do to recruit and support the next generation of great teachers. Perry has two new wrestling state champions. Juniors David Carr and Emil Soenhlen both captured state titles in Columbus during the OHSAA state wrestling tournament held March 9-11. The wrestling team captured 6th place overall with four individuals reaching the podium. Senior Joe Koontz placed 7th, Junior Zach Blackiston placed 8th, and our two state champions in Juniors David Carr and Emil Soenhlen provided all the scoring for the Panthers. Congratulations to the wrestling team on a fantastic season. 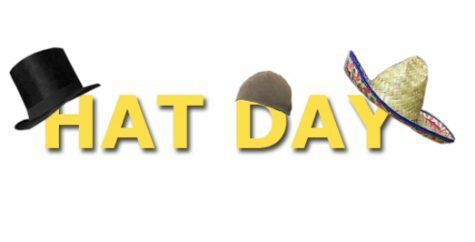 Hat Day Scheduled for Friday, March 24, 2017! Are you ready for Perry’s annual Hat Day? On Friday, March 24th, for only $1 you can wear your hat all day. This is a friendly competition district wide, to raise the most money. The school that raises the most money will be recognized and have a part in choosing where a third of the money goes. This event is sponsored by PHS Business Professionals of America (BPA) and Perry Athletic Hall of Fame.